Selecting a mesothelioma treatment center is an important part of battling the disease, and can help patients achieve longer life expectancy. When a patient has been diagnosed with mesothelioma, it’s vital for them to receive treatment from the most qualified and experienced specialists available. Choosing a specialized mesothelioma cancer clinic may be a difficult decision to make, but can provide many benefits. Mesothelioma treatment centers offer patients qualified doctors with experience diagnosing and treating the disease, as well as access to the latest treatments that could extend life expectancy. Ann-Arbor Hematology Oncology Associates P.C. Mesothelioma is a rare disease only diagnosed in about 3,000 people each year in the United States. There are three main types of mesothelioma, including peritoneal, pericardial and pleural mesothelioma. Each type presents differently in the body with varying symptoms. However, because of an overall lack of familiarity with the disease, mesothelioma may be misdiagnosed as something more common, such as pneumonia or lung cancer. Due to its rarity, mesothelioma patients often need to travel to medical centers and cancer institutes in major cities like Boston, Pittsburgh, Houston, New Orleans, and Los Angeles. However, the need for a mesothelioma specialist with intimate knowledge of the cancer and its treatment is critical to achieving the best patient outcomes possible. An experienced doctor working with an established mesothelioma treatment center will be able to create a unique and tailored treatment plan for each patient. The nation’s best cancer centers have access to advanced technology and innovative research opportunities, ultimately allowing patients to participate in clinical trials and emerging mesothelioma treatments. Mesothelioma treatment centers are often leading critical cancer research for new diagnostic and treatment options. Clinics like the University of Texas MD Anderson Cancer Center are on the cutting-edge of new and emerging mesothelioma treatments, and many of these centers are even named on lists for the best oncology care in the country. These comprehensive cancer care centers often also have access to clinical trials and treatments that are unique to their patients, including new drug therapies like immunotherapy aimed at controlling the cancer’s growth when surgery or radiation aren’t an option. Approximately 30% of mesothelioma diagnoses occur among veterans, and U.S. Navy veterans are among those most vulnerable. Fortunately, military service members or their loved ones may be able to access benefits and treatment though a Veterans Affairs (VA) affiliated medical facility. Veterans who may have suffered from asbestos exposure and have been diagnosed with an asbestos-related disease are eligible for benefits, provided they were not dishonorably discharged. They must also be able to provide evidence of asbestos exposure during their military service, and the exposure must have led to a disease or disability, like mesothelioma. There are several VA healthcare centers that treat mesothelioma, including the VA Boston Healthcare System, which is affiliated with world-renowned organizations like the Boston University School of Medicine, and the International Mesothelioma Program at Brigham and Women’s Hospital. 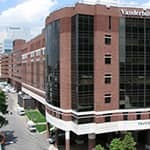 Other highly-regarded VA Centers that treat mesothelioma can be found in Los Angeles, Atlanta and Miami. Veterans are not limited to receiving treatment at a VA hospital, and may still receive coverage at a community provider through the Veterans Choice Program if they meet eligibility requirements. There are a number of comprehensive cancer centers throughout the United States capable of providing patients with the best care and treatment options. Page last modified on September 13, 2018.